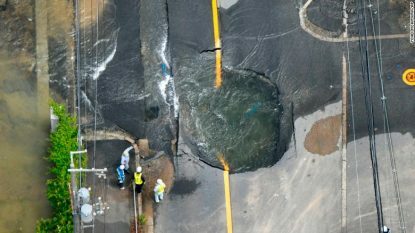 On the morning of 18 June 2018, an earthquake hit the city of Osaka in Japan. The earthquake, which had a magnitude of 5.9, killed 5 people and injured at least 214. Damage was sustained through several prefectures in the southern area of Honshu, the largest island and most populous island in Japan. In addition to the casualties, almost 700 people have been evacuated in the aftermath of the quake. Over 100,000 homes were without gas and water in Osaka, and around 170,000 suffered power outages, though these were soon resolved. Through four prefectures, 334 buildings were damaged in the earthquake, most of which were in Osaka. In addition, burst pipes caused flooding in some areas of Takatsuki city. The families of the 5 people who were killed, and for the 214 confirmed injured in the quake. The Nazarene churches in the area, as they respond to the needs of those around them and reckon with the toll of the earthquake within their congregations.